I am sorry I pronounce nether regions as "neither regions" but that's all I am sorry about, because this blog is informative and there's nothing to apologize about there. 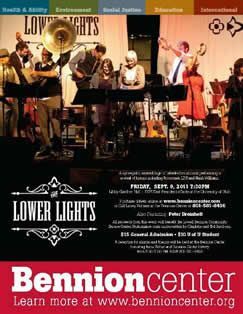 The Lower Lights are coming the Rooftop on Oct. 7th, but if you can't wait that long to see them in concert you can check them out this weekend in Salt Lake City. See here for details.